If you work in a comic shop or University, feel free to print out a copy and display it! Sponsored by University of Brighton Creative Futures and Design Star. 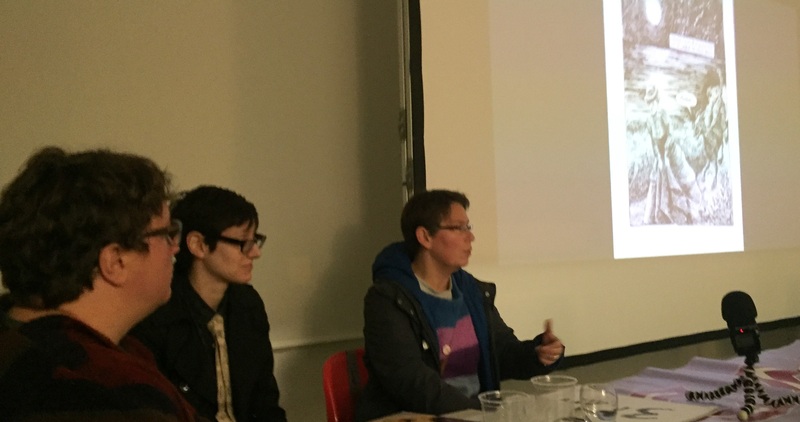 Graphic Brighton 2019: Making Comics Work will be taking place at University of Brighton City Campus on 3rd and 4th May, 2019. This year’s event is looking at educational comics, where comics are used to inform readers about topics they’d like to know more about, covering all sort of themes including historical biography, science, medicinal practices, architecture, university research and risk management in business. Guests include cartoonists and comic creators Ian Williams, Chris Geary, Ottilie Hainsworth, Richy K Chandler, Warren Pleece, Alison Sampson, Owen Pomery, Muna Al-Jawad, Ben Dickson, Daniel Locke and comics laureate Hannah Berry. George Hardie (Hipgnosis) and architects Jacquelyn Cohen and Joe Robson (AVR London), will also be coming along to talk about their practice and use of comics to disseminate their work. The two day event, which will take place in the University gallery, is a mixture of talks, panel discussions and workshops. Check back here for more info about the event, but in the meantime, save the date! Unfortunately the opening guest speaker on Friday 20th July – George Hardie – isn’t going to be able to join us after all, so zine and comic creator Holly Casio (originally scheduled to talk later in the day) is now going to open the conference with a discussion of her own practice making pamphlets about Bruce Springsteen, as well as a more general discussion about the music zine scene. The programme for this year’s Graphic Brighton is below. The two day event is FREE, but it would be great if anyone wanting to come along could book a ticket in advance, so we can get an idea of numbers, or if we run out of tickets can let people know that the venue(s) have reached capacity. 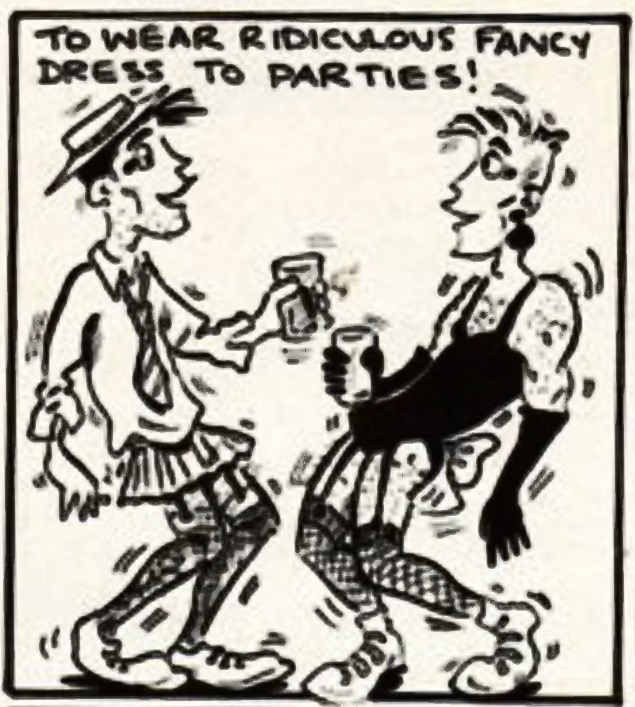 Also, we’re proud to have a classic 80s comic book artist – as featured in Trident, Wimmen’s Comix, Revolver, Escape and Deadline – Julie Hollings joining us as a guest on July 20th, in conversation with Alex Fitch and Hunt Emerson (when she’ll be able to reminisce with Hunt about working on Outrageous Tales from the Old Testament). Accessibility: the Phoenix Gallery’s Green Room is on the ground floor which is fully accessible. There is a ramp at the main entrance and disabled toilets on the same floor. University of Sussex, Pevensey Building 1, Lecture Theatre 1A6, Falmer BN1 9QH. The University of Sussex campus is easily accessed by train from Brighton (journey time approx. 7 minutes) or by the number 25 bus (also from Brighton). Accessibility: Pevensey 1 Lecture Theatre 1A6 is wheelchair accessible: please go through the glass doors at the front of the building, and use the elevator, selecting ‘1A6’ button option. Wheelchair accessible toilets are in Chichester 1 building next door – please do let us know if you need any extra assistance on the day. Holly Casio (zine maker, comics artist and punk musician): Me and Bruce Springsteen: is there anybody alive out there? The programme for Graphic Brighton is coming together with talks by Mark Hibbert (University of the Arts, London) and Alan Moore expert Maggie Grey (Kingston University) to look forward to on July 20th. Also, the legendary artist of Fables, Peter Parker: Spider-Man and Neil Gaiman’s Death, Mark Buckingham is joining the line up on July 19th to talk about his interest in music and comics, plus he will also be performing a short set accompanied by Chris Harrison, showcasing tracks from his album Jigsawman. …and to aid late running academics who have yet to submit a paper for the academic day at the University of Sussex, the Call for Papers has been extended until Friday July 15th! This year’s Graphic Brighton festival is headlined from 7pm on Thursday 19th July at The Phoenix, Brighton, by members of the bands Cud (Will Potter), The Meow Meows (Danny Noble) and Howlround (Robin the Fog) who will be talking about their crossover interest in music and comics before a screening of Night of the Living Dead: Reanimated – the classic 1968 zombie movie reinterpreted by 100 artists with a new live soundtrack DJed by Robin the Fog. Music and comics have had a connection right from the start, with the title of the seminal newspaper strip Hogan’s Alley taken from a popular song by Edward Harrigan. As the 20th Century progressed these two media flirted with each other for inspiration and style, from Marvel comics based on the rock band KISS, to Duran Duran taking their name from Barbarella. 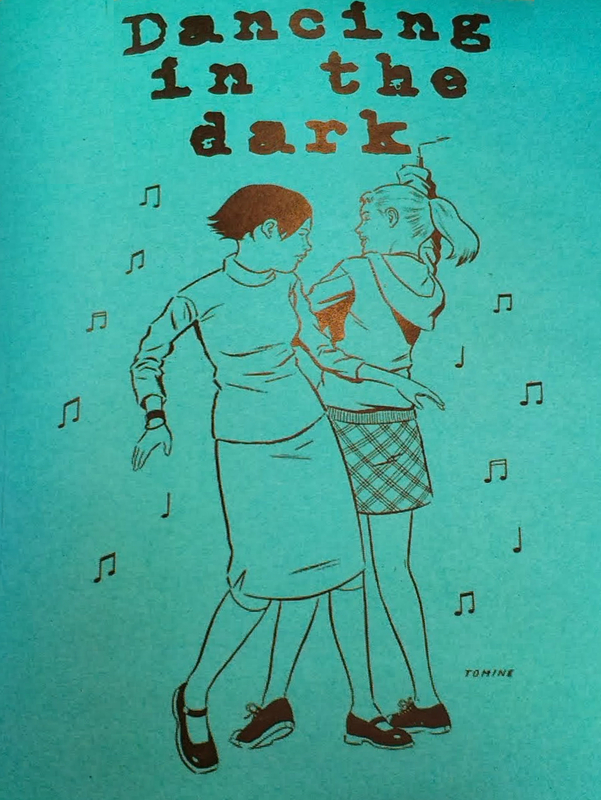 Back room printing presses in the 60s and 70s saw the gig flyer and alternative comix emerge side by side, and comic creators from Alan Moore to Richard McGuire have been inspired by music in the creation of their long (play) narratives. • ‘Performing’ comics and music – stage productions by Dave McKean et al. Graphic Brighton is curated by Barbara Chamberlin, Alex Fitch and Elle Whitcroft, with support from Aanchal Vij. 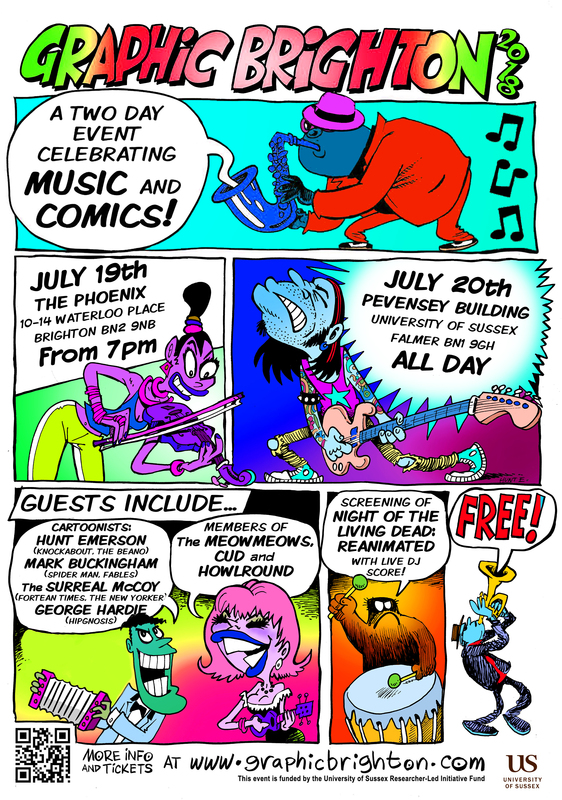 This free event will be held at the University of Sussex on Friday July 20th, with talks by artists Hunt Emerson, The Surreal McCoy and George Hardie (Hipgnosis), plus a comic book creators’ discussion and multimedia DJ gig in the centre of Brighton (venue and time TBC) on the evening of July 19th featuring members of The Meow Meows, Cud and Howlround. This event is funded by the University of Sussex Researcher-Led Initiative Fund.